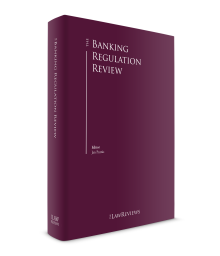 This chapter provides an introduction to the most important EU legislation affecting the regulation of banks. It also analyses developments that have led to the concentration of certain regulatory powers in a series of EU supervisory authorities. The development of this legislation since 2011 took place against the background of the eurozone crisis, which highlighted concerns about the prudential position of eurozone banks and related threats to financial stability in the eurozone and beyond. The legislative response to the eurozone crisis can be characterised as consisting of two different approaches. First, an urgent and necessary fire-fighting operation was carried out to shore up embattled eurozone economies and banks. Second, a more fundamental restructuring of the foundations of financial supervision as a whole was considered necessary to prevent a recurrence of the crisis, with more European integration in many areas being seen as the long-term solution to problems arising from European monetary union. This second, more fundamental development is another step towards the fulfilment of the ‘ever closer union’ envisaged by EU Member States in the preamble to the Treaty on the Functioning of the European Union. In Section IX, we have summarised the developments in relation to the second of these approaches, in particular the implementation of a single supervisory mechanism (SSM) for banking institutions in the eurozone, and common bank recovery and resolution arrangements. It is important to note that much of the EU legislative activity in the area of banking regulation has traditionally been in the form of EU directives, which do not normally have legal effect in EU Member States until implemented by provisions of national laws. There have been some EU measures affecting the regulation of banks, however, which have taken the form of EU regulations that apply directly in all Member States. Following recent changes to the European supervisory architecture and the commitment of the European Commission (the Commission) to introduce an EU-wide ‘single rule book’ for financial services (both discussed in this chapter), the introduction of new EU rules relevant to banks is increasingly taking the form of directly applicable EU regulations. Finally, it would be remiss to introduce this chapter without mention of the United Kingdom’s decision to leave the European Union in the referendum of 23 June 2016. While this is addressed more fully in the United Kingdom chapter of this book, its particular impact on EU regulatory law must be noted. 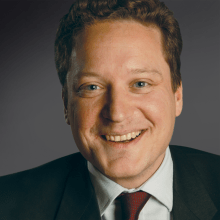 Without the UK – an historically influential voice in the financial services arena – sitting at the table, the course of EU banking regulation may flow in a different direction. At the beginning of 2018, in the midst of negotiations between the European Union and the United Kingdom and uncertainty as to whether there will be a ‘soft’ or ‘hard’ Brexit, this direction is still far from clear. It can be said with some degree of certainty, however, that the loss of the UK from the conversation will have a significant effect on the shape of future EU banking legislation. The Commission represents the interests of the European Union as a whole and has the sole right to propose new legislation. The Council of the European Union (the Council) represents the interests of the individual Member States. The European Parliament (the Parliament) represents the interests of EU citizens, and is directly elected by them. The Commission, after consultation with interested stakeholders, will put forward a legislative proposal for joint adoption by the Council and the Parliament, which then usually goes through the ‘ordinary legislative procedure’ (previously known as the ‘co-decision procedure’). In addition to its role in adopting legislation proposed by the Commission, the Parliament has limited power to request the Commission to submit appropriate proposals on matters on which it considers an EU legislative measure would be appropriate. supervision and enforcement, principally by the regulators in each Member State (Level 4). Until 2011, three ‘Level 3 Committees’ existed: the Committee of European Banking Supervisors (CEBS), the Committee of European Insurance and Occupational Pensions Supervisors (CEIOPS) and the Committee of European Securities Regulators (CESR). These brought together regulators from each Member State to agree on the details of implementing measures and to help to coordinate the supervision of cross-border institutions. The failings in prudential regulation that were highlighted by the financial crisis led to criticism that these advisory committees did not have sufficient powers or influence to address the complex challenges of cross-border regulation. Following recommendations contained in the 2009 de Larosière Report,2 the Commission proposed establishing a new European Systemic Risk Board (ESRB) to be responsible for macroprudential oversight and a European System of Financial Supervision (ESFS) to replace the Level 3 Committees, comprising three new pan-ESAs: the European Banking Authority (EBA), the European Insurance and Occupational Pensions Authority (EIOPA) and the European Securities and Markets Authority (ESMA). The ESAs were established to oversee the European financial system at a microprudential level and to achieve convergence between Member States on technical rules and coordination between national supervisors. The ESAs’ powers go beyond those of the Level 3 Committees and their role is no longer merely advisory. Indeed, the operations of the ESAs were subject to public consultation by the Commission in spring 2017, with a view to clarifying their role and to building a clearer overview of areas where their effectiveness and efficiency might be strengthened and improved. This resulted in the Commission publishing legislative proposals for reforming the ESAs, which it adopted on 20 September 2017. These supervisory structures, and the recent reforms, are discussed in further detail in Section XVII. The Commission has committed itself to replacing separately implemented rules within Member States with a single set of harmonised prudential rules within the European Union, termed the ‘single rule book’. The ESAs advance this project by developing draft technical standards, which will then be adopted by the Commission as EU law, and by issuing guidance and recommendations with which national supervisors and firms must make every effort to comply. In addition, the Commission’s legislative proposals are increasingly taking the form of directly applicable EU regulations, or otherwise employ the ‘maximum harmonisation’ principle. This principle requires that national legislative implementation should not exceed the terms of the original EU legislation, and therefore prohibits the ‘gold-plating’ of EU legislation by individual Member States. The Commission’s intention is that national options and discretions should be reduced, and that Member States should be permitted to apply stricter requirements only where these are justified by national circumstances, financial stability or a bank’s specific risk profile. The following is a brief description of some of the most important EU legislation affecting the regulation of banks, and several recent legislative initiatives that will affect banking activities in the European Union. Between 2006 and 1 January 2014, the principal EU legislation regarding the prudential regulation of banks was the Capital Requirements Directive (CRD I), which comprised two directives, commonly referred to as the Banking Consolidation Directive and the Capital Adequacy Directive. This legislation, which implemented many of the Basel II reforms, was amended in 2009 and 2011 by two further directives, CRD II and CRD III. CRD I was wider in scope than Basel II, as it applied not only to internationally active banks, but also to smaller banks, mutuals and investment firms. Changes to the prudential regime for banks were required as part of the Basel III international programme (discussed in the International Initiatives chapter). A new package of legislation, in the form of the CRD IV Directive3 and the Capital Requirements Regulation (CRR),4 has now replaced CRD I, and has consolidated the changes introduced by CRD II and CRD III. The CRD IV package continues to set out prudential rules for banks on a solo and on a consolidated basis, including solo and consolidated capital requirements. Consolidated supervision is, broadly, carried out in respect of groups or subgroups headed by parent undertakings incorporated in the EEA.5 In addition, banks are required to include ‘participations’6 within the scope of consolidated supervision. The CRD IV package continues to enshrine ‘passport’ rights for credit institutions, including banks, which broadly allow a bank authorised in one Member State of the EEA to provide a range of services for which it is so authorised in other Member States, or to establish a branch in other Member States, without having to obtain additional authorisation from the regulators in those Member States. The most important features of the CRD IV package are summarised below. new rules on counterparty credit risk (increasing requirements in respect of exposures arising from derivatives, repurchase transactions (repos) and securities financing activities). further developments to the requirements in CRD III on remuneration to require the disclosure of the number of individuals within a bank receiving total remuneration of €1 million or more in each financial year (broken down into pay bands of €500,000). CRD IV is intended to be a key instrument through which the Commission advances the development of a single rule book for financial services. The CRR is, by its nature, a maximum harmonisation measure that includes the majority of CRD IV’s prudential requirements. As an EU regulation, the CRR is directly applicable in all Member States and divergences between national rules will thereby be minimised. On the other hand, provisions addressing, for example, the authorisation of credit institutions, cross-border passporting and the mechanics of prudential supervision (i.e., areas where there is more room for Member State discretion as well as a need to be more responsive to differences in national law) are contained in the CRD IV directive. As an EU directive, Member States have had some discretion as to how they choose to transpose the CRD IV directive into their national laws. An important illustration of this is that, while Member States have not generally been able to impose minimum capital requirements in excess of the CRD IV levels (these are provided for in the CRR), Member States do have a degree of flexibility in relation to the calibration of capital buffers (these are addressed in the CRD IV directive). CRD IV entered into force on 1 January 2014. Full implementation of the capital and liquidity requirements in CRD IV remains subject to a staggered timeline, although national regulators are permitted to accelerate implementation ahead of the January 2019 deadline for full implementation of CRD IV (although national regulators retain limited discretion to use transitional provisions in relation to certain deductions from own funds until 2024). CRD IV is accompanied by a number of regulatory and implementing technical standards, the majority of which have been adopted. a requirement, known as total loss absorbing capacity (TLAC), for globally systemically important institutions to hold minimum levels of capital and other instruments that bear losses in resolution. TLAC will be integrated into the existing minimum requirement for own funds and eligible liabilities (MREL) system. Operating in parallel, a keynote of the ‘EU-specific’ side of the package is increased proportionality, as a simplified approach for smaller and less complex institutions is introduced in respect of some of the current disclosure, reporting and complex book-related requirements. The other significant EU-specific change, which sparked considerable controversy, concerns the proposed requirement for certain non-EU banks headquartered in third countries to set up an intermediate holding company for their EU subsidiaries. It is envisaged that the final legislative adoption of the package, including the amendments to the BRRD and SRM Regulation, will take place in early 2019; the Parliament and the Council are currently considering the package and are expected to reach political agreement by mid-2018. Entry into force and implementation vary according to the measure: for example, the NSFR proposal has a two-year implementation period. There are likely to be transitional provisions for implementation once the legislation is adopted. a directive amending the BRRD as regards the ranking of unsecured debt instruments in the insolvency hierarchy (BRRD Insolvency Hierarchy Directive). This entered into force on 28 December 2017 and Member States are required to transpose it by 29 December 2018. The Payment Services Directive (PSD)8 is intended to harmonise conduct of business rules for all providers of electronic payment services across the EU, and to create a tiered prudential authorisation regime for non-bank payment service providers, known as ‘payment institutions’. It affects banks, building societies, e-money issuers, money remitters, non-bank credit card issuers, non-bank merchant acquirers and their customers. The PSD focuses on electronic means of payment, including direct debits, debit cards, credit cards, standing orders, mobile or fixed phone payments and payments from other digital devices, as well as money remittance services. It does not apply to cash-only transactions or paper cheque-based payments. The PSD was formally adopted on 13 November 2007. Member States were required to transpose the PSD into their national laws by 1 November 2009. PSD2 was formally adopted on 25 November 2015 and had an implementation deadline of 13 January 2018. It updates the existing framework for the regulation of the provision of payment services in the EU, covering payment services providers (PSPs) not previously regulated under the PSD, and introducing enhanced transparency and security requirements. PSD2 increases the geographical scope of the PSD, applying transparency and information requirements to payment transactions in all currencies and to payment transactions where only one PSP is located in the EU (the PSD only applied where both PSPs were located in the EU). It also brings certain PSPs (such as those providing payment initiation services and account information services) within the scope of PSD2, and limits the exemptions that were available under the PSD. Throughout 2017, the EBA published technical standards and guidelines to accompany PSD2, in advance of its 13 January 2018 implementation date. Some of these technical standards and guidelines do not yet apply, most notably the regulatory technical standards relating to ‘strong customer authentication’, which are expected to apply from autumn 2019. The MIF Regulation was formally adopted on 29 April 2015 and became fully effective on 9 June 2016. The Regulation imposes caps on interchange fees of 0.2 and 0.3 per cent of transaction value for consumer debit card and credit card transactions, respectively. These caps came into effect on 9 December 2015, although for a period of five years from that date, Member States can apply the cap of 0.2 per cent in respect of domestic debit card transactions to the annual weighted average transaction value of all such transactions within the card scheme. After expiry of this period, the cap must be set by reference to transaction value. The Regulation also requires the organisational separation of payment schemes and transaction processing infrastructure, and prohibits territorial restrictions in licensing agreements or payment scheme rules. The Acquisitions Directive11 was formally adopted on 5 September 2007. It was intended to harmonise the criteria that regulators apply in deciding whether to approve changes of control of financial institutions (specifically credit institutions, investment firms, insurers and reinsurers) and to harmonise some important aspects of the process by which they do so. Member States were required to implement the Acquisitions Directive into national law by 21 March 2009. The Acquisitions Directive is a ‘maximum harmonisation’ directive in the sense that it prohibits Member States from imposing requirements for the notification to, and approval by, regulators of direct or indirect acquisitions of voting rights or share capital that are more stringent than those set out in the directive. The definition of ‘control’ (at or above which the person holding control requires regulatory approval) is set at 10 per cent of share capital or voting rights, which follows previously existing EU directives. The Acquisitions Directive also introduced a concept of aggregation of multiple parties’ interests for the purpose of determining whether ‘control’ has been or would be attained where those parties are ‘acting in concert’. Between 8 December 2011 and 10 February 2012, the Commission consulted on the application of the Acquisitions Directive. In February 2013, the Commission published its report, concluding that, overall, the regime created by the Acquisitions Directive was working satisfactorily. The Commission did, however, ask the ESAs to clarify new Level 3 guidance on the directive in relation to a number of issues, including the definition of ‘acting in concert’. These guidelines, which followed a consultation, were published by the ESAs on 20 December 2016, and applied from 1 October 2017. There is a separate EU regime for the consolidated supervision of mixed activity financial groups (financial conglomerates) established by the Financial Groups Directive,15 also referred to as the Financial Conglomerates Directive or the FGD. Financial conglomerates, within the meaning of the FGD, are groups that carry on financial services activities as a substantial portion of their business, and that have significant interests in each of the banking or investment services, and insurance sectors. The FGD requires that a bank, investment firm or insurer that is authorised by an EEA regulator and that is a member (or parent) of a financial conglomerate group should be subject to supplementary supervision on a group-wide basis in addition to relevant sectoral (i.e., insurance or banking) consolidated supervision. The rules on how this supervision is effected may differ from those that apply to banking-only groups. The criteria for determining whether a group is a financial conglomerate for the purposes of the FGD depend on whether it is headed by a regulated entity. If a group is headed by a regulated entity, this entity must be the parent undertaking of, hold a participation in or be linked by a relationship based on unified management with, an entity in the banking, investment or insurance sector. Where the entity at the head of the group is not regulated, the gross assets attributable to all the financial business activities of the group (that is, all its banking or investment services, and insurance businesses) must account for at least 40 per cent of the group’s total gross assets worldwide. In both cases, groups must also meet the following criteria: at least one member of the group carries on business in each of the banking or investment services, and insurance sectors; and the group’s business activities in each of the banking or investment services and insurance sectors are ‘significant’. Significance is measured by reference to the average of two tests: a balance sheet ratio test and a solvency requirements ratio test comparing the significance of each sector with the combined position of all financial sector entities in the group. The average ratio for each of the banking or investment firms and insurance businesses of the group must exceed 10 per cent for the group to be treated as a financial conglomerate. At the initiative of the ‘lead’ European regulator (to be identified or agreed among the national regulators that supervise members of the group in the EEA), national regulators that supervise members of the group in Member States may agree to substitute or supplement the significance test, or to exclude certain group members from its calculation, if they consider it appropriate to do so. The significance test can also be satisfied if the gross assets of the smaller of the group’s financial sector businesses (banking or investment services as against insurance) exceed €6 billion. If, however, the 10 per cent average ratio test is not satisfied, the relevant national regulators can agree that the group should not be regarded as a financial conglomerate. The FGD was amended in December 2011, and those amendments were required to be implemented in full by Member States by 22 July 2013. The amendments are intended to address certain deficiencies in the way the FGD interacts with CRD IV and equivalent sectoral rules for insurers that mean supplementary supervision cannot currently be carried out for certain groups or on a fully group-wide basis because of their legal structure. The amendments also introduce, inter alia, more discretion for supervisors in applying the ‘significance test’ and in deciding whether to identify ‘small’ groups (those with under €6 billion in total assets) as financial conglomerates. the FGD’s framework for supervisory cooperation. Following this consultation, the Council published a Commission staff working document (SWD), with a summary, in July 2017. While stating that this did not represent a full evaluation of the FGD (owing to a lack of sufficient evidence to support a full evaluation) the Commission concluded that the FGD has, in general, functioned well, and that, overall, it remains a useful supervisory tool. The Markets in Financial Instruments Directive (MiFID)17 replaced the Investment Services Directive (ISD),18 which had constituted one of the foundations upon which the single European market in financial services was developed. The ISD introduced a system of ‘passports’ under which an investment firm authorised as such in one Member State could carry out certain regulated activities for which it was so authorised in other Member States, or establish a branch in other Member States, without having to obtain additional authorisation from the regulators in those other Member States. MiFID retained and expanded this passporting framework. MiFID is very important to the very large number of EU banks that provide investment services as well as carrying on deposit-taking and lending activities. the rules applying to different securities trading venues have been harmonised to a significant degree, resulting in a wider range of regulated trading venues, such as multilateral trading facilities (MTFs). The deadline for the implementation of MiFID into the national law of each Member State was 1 November 2007. In October 2011, the Commission published a legislative proposal to amend MiFID (MiFID II). MiFID II comprises a directive and a regulation (the latter also amended the European Market Infrastructure Regulation, which is discussed below). The provisions of the MiFID II Directive and Markets in Financial Instruments Regulation (MiFIR) came into force on 2 July 2014. A legislative package postponing the application of MiFID II and MiFIR came into force on 1 July 2016, which meant that Member States had until 3 July 2017 to transpose the majority of measures contained in the MiFID II Directive into their national laws, and have had to apply those provisions, and MiFIR, since 3 January 2018. This legislative package delayed the application of MiFID II and MiFIR by one year. The delay reflects the difficulties faced by the ESMA and the Commission in delivering the necessary technical standards and delegated acts, and the difficulties in developing the infrastructure required for the collection of financial instrument reference data that trading venues and other entities are required to provide under the new regime. a ban on third-party inducements in the case of portfolio management and for firms providing independent advice. MiFID II is accompanied by a number of regulatory technical standards and implementing technical standards, the majority of which have now been finalised. At the September 2009 summit in Pittsburgh, G20 leaders agreed that all standardised over-the-counter (OTC) derivative contracts should be cleared through central counterparties (CCPs) by the end of 2012 at the latest, and that OTC derivative contracts should be reported to trade repositories. The EU’s response to this commitment is the Regulation on OTC derivatives, central counterparties and trade repositories (commonly referred to as the European Market Infrastructure Regulation or EMIR). The EMIR entered into force on 16 August 2012, although where requirements rely on the publication and implementation of Level 2 measures, those requirements will come into force when the relevant Level 2 measures are implemented. In particular, the first clearing obligations came into effect on 21 June 2016 in respect of certain interest rate derivatives. rules on the interoperability of CCPs. The majority of the regulatory technical standards and implementing technical standards have been finalised, including those relating to measures to reduce counterparty credit risk for uncleared OTC derivatives. reducing disproportionate costs and burdens through a review of the scope of transactions and entities. The Commission published two proposed regulations in 2017, which seek to amend the EMIR. The first, following the November 2016 consultation and published in May 2017, tackles several areas, including the streamlining of reporting requirements, the asset classes required to be cleared by non-financial counterparties, the introduction of a clearing threshold for small financial counterparties, and a new three-year temporary exemption for pension funds from clearing (and is referred to as the EMIR REFIT proposal). The second, published in June 2017, concerns the procedures and authorities involved for the authorisation of CCPs and requirements for the recognition of third country CCPs (which would be subject to a ‘two-tier’ classification system). In both cases, the Parliament has published (in January and February 2018, respectively) a draft report on the proposed regulation, suggesting amendments. Herman van Rompuy, former president of the European Council, published a report on 26 June 2012 entitled ‘Towards a Genuine Economic and Monetary Union’, in which he set out his vision for the future of EU economic and monetary union. This was based on four elements: an integrated financial framework, an integrated budgetary framework, an integrated economic policy framework, and democratic legitimacy and accountability. a common deposit guarantee scheme (DGS) for the European Union. The legislation establishing the SSM includes two regulations: one conferring supervisory tasks on the ECB (the SSM Regulation) and the other modifying the regulation establishing the EBA (the EBA Amending Regulation). These are supplemented by the SSM Framework Regulation, which sets out detailed procedures for the SSM. The SSM Regulation entered into force on 3 November 2013 and the EBA Amending Regulation entered into force on 30 October 2013. In accordance with the SSM Regulation, the ECB assumed its supervisory role on 4 November 2014.
investigatory and enforcement powers for the ECB. It may impose fines of up to twice the amount of the profits gained or losses avoided as a result of a breach (where these can be determined), or up to 10 per cent of the total annual turnover of a legal person in the preceding business year. It does not, however, have the power to impose sanctions on individuals. The EBA Amending Regulation revises the EBA Regulation in relation to voting procedures in respect of the EBA. It includes revised decision-making arrangements in respect of the EBA, which require a majority of non-SSM countries to approve EBA decisions (to prevent the EBA from being dominated by the ECB, representing the SSM Member States). the cost-effectiveness of the SSM. In its report, the Commission came to an overall positive assessment of the SSM and the first two years of the ECB acting in its supervisory capacity. While stating that there is scope for further improvement, the Commission does not consider it necessary to propose any amendments to the SSM Regulation. Although non-eurozone Member States do not participate in the SSM, the SSM Regulation allows those countries to enter into close supervisory cooperation with the ECB. To date, none of the nine non-eurozone Member States have opted to do so, although in October 2017, the Commission published a communication stating that Denmark, Sweden and Bulgaria were considering joining the banking union. the establishment of a resolution mechanism that is intended to reflect the mechanism used by national authorities under the BRRD, discussed below. The framework includes preparatory and preventive measures, early intervention measures and resolution tools, including bail-in. As discussed in Section III, the Commission published a legislative package in November 2016, which included proposed amendments to the SRM (under the SRM II Regulation). These amendments are intended to mirror those made under BRRD II (see Section X) and relate to the implementation of the TLAC requirements and revisions to MREL. As with the broader legislative package, it is now for the Parliament and the Council to consider the proposed amendments. Both the G20 and the FSB have advocated the development of recovery and resolution plans – ‘living wills’ – for financial institutions. The numerous high-profile banking failures in the European Union during the financial crisis (e.g., Fortis and Anglo Irish Bank) revealed shortcomings in the existing arrangements for organising an orderly wind-down of ailing banks and financial institutions, which left Member States with no choice but to bail out their banking sectors. In response to this, the Commission proposed an EU framework for crisis management in the financial sector with common and effective tools and powers to deal with failing banks at an early stage, and to minimise costs for taxpayers. The overriding objective of the proposal was to ensure that failing banks could be resolved in ways that minimise the risks of contagion and ensure continuity of essential financial services, including continuous access to deposits for insured depositors. The BRRD is the framework legislation passed as a result of the Commission’s proposal to deal with future bank failures. It came into force on 2 July 2014 and establishes new tools and powers for national regulators to deal with crises, including (1) rules requiring banks to prepare recovery plans and requiring resolution authorities to prepare resolution plans based on consultation with the institution concerned; (2) new powers of supervisory intervention at an early stage and during a crisis, such as the ability to require a bank to implement its recovery plan; and (3) powers giving regulators new tools to deal with the failure of a firm, including a sale-of-business tool, a bridge institution tool, an asset-separation tool and a ‘bail-in’ tool. The BRRD also establishes new mechanisms for cross-border cooperation for handling banking crises, including a much greater role for the EBA. The deadline by which Member States had to transpose the BRRD into national law was 31 December 2014, and all the provisions of the directive (except for the bail-in tool for use by national regulators) should have come into force by 1 January 2015. The provisions relating to the use of the bail-in tool came into force on 1 January 2016, although some Member States (including the United Kingdom) chose to bring these provisions into force sooner. As discussed in Section III, the Commission adopted a broad reform package in November 2016, which contained reforms to the BRRD (BRRD II). These reforms, which form part of the Commission’s efforts to implement the TLAC standard, included the revision of the existing MREL provisions to align them with the TLAC standard, and targeted amendments to the BRRD related to the insolvency ranking of holders of debt instruments issued by EU banks for the purposes of complying with the BRRD and TLAC requirements concerning loss absorption and recapitalisation capacity of banks. As with the broader legislative package, it is now for the Parliament and the Council to consider BRRD II. In addition, as flagged in Section III, the BRRD Insolvency Hierarchy Directive entered into force on 28 December 2017 and Member States are required to transpose it by 29 December 2018.
provide that the ESMA will coordinate cross-border measures and intervene in situations where national authorities have not taken sufficient action to address a threat. On 7 July 2017, the ESMA published a consultation paper seeking the views of market participants on three aspects of its future technical advice to the European Commission regarding the SSR: (1) the scope and functioning of the exemption for market making activities; (2) the procedure for imposing a short-term ban on short selling in the event of a significant fall in price of a financial instrument; and (3) the transparency of net short positions, and the related reporting and disclosure requirements. Following this consultation, the ESMA published its final report containing its technical advice on 21 December 2017, which included a number of proposals centring around the three elements set out in the consultation. These proposals include transforming the current bans on short selling into a ban on entering into or increasing net short positions, and building a centralised notification and publication system across the European Union for transparency purposes. This report is expected to feed into the follow-up actions the Commission announced in its call for evidence as regards the EU regulatory framework for financial services dated 23 November 2016. A number of other EU directives of importance to banks have been enacted, broadly with the aim of achieving harmonised consumer protection measures in the areas to which they relate. They include those summarised below. This Directive19 established minimum levels of protection that Member States are required to provide to depositors of banks that their national regulators supervise. In February 2009, the Council adopted an amending directive20 that raised the minimum deposit coverage level to €50,000 as from 30 June 2009 (from €20,000) and set the coverage level at €100,000 as from 31 December 2010; and reduced the maximum payout delay to 25 working days (a period of five working days to establish that a credit institution has failed to repay deposits that are due and payable, followed by a period of 20 working days), subject to extension by 10 working days. introducing a principle of risk-based contributions, whereby riskier banks are required to make greater contributions to the relevant DGS. one, with the support of the EBA, on the progress towards the implementation of the DGSD, having regard to a number of topics, such as the adequacy of the current coverage level for depositors and the impact on the diversity of banking models. The Unfair Terms in Consumer Contracts Directive (the Unfair Terms Directive)22 requires Member States, inter alia, to enact provisions in their national laws rendering unenforceable certain ‘unfair’ terms in consumer contracts. These are defined as contracts between a ‘seller or supplier’ (meaning ‘any natural or legal person’ who, in contracts covered by the directive, is ‘acting for purposes relating to his trade, business or profession’) and a ‘consumer’ (meaning ‘any natural person’ who, in contracts covered by the directive, is ‘acting for purposes which are outside his trade, business or profession’). In particular, a term of such a contract that has not been individually negotiated is ‘unfair’ (and therefore unenforceable) if, ‘contrary to the requirement of good faith’, it causes a ‘significant imbalance in the parties’ rights and obligations arising under the contract, to the detriment of the consumer’. An annex to the directive contains an indicative and non-exhaustive list of terms that may be regarded as ‘unfair’. The directive also introduced a requirement that Member States implement measures ensuring that contracts to which the directive relates be drafted in plain, intelligible language. In October 2008, the Commission published a communication proposing the repeal and replacement of this directive with a single EU directive on consumer rights that would also repeal and replace certain other consumer protection directives. The Consumer Rights Directive,23 which came into force on 12 December 2011, made only minor amendments to the Unfair Terms Directive, rather than repealing it. Among its key provisions are an extension of consumer withdrawal rights on distance purchases to 14 days across the European Union; a cap on fees for use of means of payment equal to the cost borne by the trader for the use of such means; and the provision of mandatory information by the trader to the consumer on distance and off-premises contracts. Member States were required to implement the measures contained in the Consumer Rights Directive by 13 June 2013, and to apply those measures from 13 June 2014.
simplification of some rules and requirements. Following this consultation, the Commission will prepare an impact assessment and, if necessary, present legislative proposals. There are also extensive provisions of EU law setting out anti-money laundering requirements, but these are beyond the scope of this chapter. In its September 2013 Communication on shadow banking, the Commission identified increasing the transparency of securities financing transactions (SFTs) as a priority area. This prompted it to publish a proposal for a regulation on the reporting and transparency of SFTs in January 2014. The final text of the SFT Regulation24 was formally adopted on 25 November 2015 and came into force on 12 January 2016; the ESMA published a final report on its proposed regulatory and implementing technical standards in March 2017. The Commission is now to decide whether to endorse these draft technical standards. a counterparty that wishes to rehypothecate clients’ financial instruments that it holds as collateral can do so only after receiving the express consent of the providing counterparty, disclosing the potential risks and having the financial instruments transferred to its own account. The SFT Regulation covers repos, securities and commodities lending and borrowing transactions, buy-sell back and sell-buy back transactions, and margin lending transactions, and applies to all counterparties in SFT transactions that are domiciled in the European Union or acting through an EU branch, certain fund managers and counterparties engaging in rehypothecation. In October 2011, the Commission published legislative proposals for a regulation and directive to replace the Market Abuse Directive (MAD)25 and to strengthen and update the existing EU market abuse regime. Following consideration by the Council and the Parliament, the final texts of the Market Abuse Regulation26 (MAR) and the Directive on Criminal Sanctions for Market Abuse (CSMAD)27 (referred to collectively as MAD II) were published on 12 June 2014 and came into force on 2 July 2014. The MAR is intended to expand and develop the market abuse regime under the MAD by establishing a common regulatory framework on market abuse. This regulation is intended to complement the MiFID II legislative package, and the two regimes were updated together to ensure that they are coherent and support each other’s objectives and principles. the introduction of a new ‘market soundings’ safe harbour to the offence of unlawfully disclosing inside information. The majority of the MAR’s provisions applied from 3 July 2016. The CSMAD is intended to complement the MAR by requiring Member States to implement minimum rules for criminal sanctions in the most serious instances of market abuse. Under the CSMAD, ‘serious’ instances of market abuse are broadly those that cause a great impact on the integrity of the market, or under which the profit gained or loss avoided, the level of damage caused to the market or the overall value of the financial instruments concerned is high. Member States were required to transpose CSMAD provisions into domestic law by 3 July 2016 but, as the CSMAD is a minimum harmonisation directive, are free to impose more stringent requirements. Two Member States, Denmark and the United Kingdom, have opted out of the CSMAD. The Commission is required to report to the European Parliament and to the Council by 4 July 2018 on the functioning of the CSMAD and, if necessary, on the need to amend it. In March 2011, the Commission published a proposal for a directive on credit agreements relating to residential immoveable property for consumers. The Mortgage Credit Directive (MCD) was published in the Official Journal on 28 February 2014 and had to be transposed and implemented by Member States by 21 March 2016. The MCD introduces requirements in the European Union for residential mortgage lending, and places obligations on credit intermediaries and creditors. The MCD imposes requirements in relation to, inter alia, advertising and marketing, standard pre-contractual information, calculation of the annual percentage rate of charge, creditworthiness and suitability assessments and advice, and introduces a right of the borrower to make early repayment. Following global investigations into the conduct of a number of banks in relation to attempts to manipulate two key financial market benchmarks – the London interbank offered rate (LIBOR) and the Euro interbank offered rate (EURIBOR) – the Commission published a consultation document on the regulation of indices in September 2012. Further to the consultation, the Commission adopted a proposal for a regulation on indices used as benchmarks in financial instruments and financial contracts (the Benchmarks Regulation). Adopted by the European Parliament in April 2016, the majority of the provisions of the Benchmarks Regulation applied from 1 January 2018.
e transparency provisions require administrators to provide a statement setting out the relevant benchmark measures and its vulnerabilities, to allow users to choose the most appropriate and suitable benchmark. In September 2015, the Commission published a legislative proposal for a regulation establishing a European framework for simple, transparent and standardised (STS) securitisations (the Securitisation Regulation), one of the building blocks of the Capital Markets Union action plan adopted by the Commission. In parallel, it published a proposal for a regulation amending the CRR on prudential requirements for credit institutions and investment firms (the CRR Amendment Regulation). Political agreement between the Parliament and the Council on these two regulations was achieved in May 2017. The Securitisation Regulation introduces certain requirements in relation to securitisations, requiring defined institutional investors to conduct due diligence before investing in securitisation instruments and imposing risk retention, reporting and transparency requirements on originators, sponsors and original lenders. The Securitisation Regulation also sets out what constitutes an STS securitisation, and establishes a more risk-sensitive prudential framework in respect of such securitisations. The CRR Amendment Regulation amends the CRR in order to give STS securitisations more favourable capital treatment. Adopted towards the end of 2017, both regulations entered into force on 17 January 2018 and will apply from 1 January 2019. A number of measures of importance to banking activities have recently been proposed by the Commission, including those briefly summarised below. The proposals for the Investment Firms Regulation (IFR) and the Investment Firms Directive (IFD), adopted by the Commission on 20 December 2017, seek to establish a new prudential framework for investment firms that are authorised under MiFID II and are subject to prudential requirements deriving from CRD IV and the CRR. This is intended to foster a more effective prudential and supervisory framework for investment firms, calibrated to the size and nature of investment firms, in order to boost competition and improve investors’ access to new opportunities and better ways of managing their risks. This update to the regulatory architecture is highlighted by the Commission as being particularly important in light of the pivotal role played by UK investment firms in this area to date, and the UK’s decision to withdraw from the European Union. amended rules to ensure that large, systemic investment firms that carry out bank-like activities and pose similar risks as banks are regulated and supervised like banks. As a consequence, the ECB, in its supervisory capacity (the SSM) would supervise such systemic investment firms in the banking union. This is intended to ensure a level playing field between large and systemic financial institutions. The European Parliament and the Council must now consider these legislative proposals. In November 2015, the Commission adopted a legislative proposal for a regulation establishing a European deposit insurance scheme (EDIS). The proposal reflects the Commission’s concern that national DGSs established under the Deposit Guarantee Schemes Directive (see Section XII) may be vulnerable to large local events and form one of the key components of the proposals for a European banking union. The Commission’s proposals would only apply in Member States that are participants in the SSM. The Parliament and the Council are currently considering the legislative proposal. Under the legislative proposals, EDIS would provide insurance to participating DGSs from 2024, funding a participating DGS where it is required to contribute to a resolution or make a payout under the Deposit Guarantee Schemes Directive. This would be funded by risk-based contributions paid by banks to a deposit insurance fund, which the Commission envisages would be equivalent to 0.8 per cent of the covered deposits of all banks within the banking union by 2024. On 11 October 2017, the Commission – noting that it had been two years since the presentation of the EDIS proposal, which remains on the table unchanged – proposed revisions to the operation of the EDIS regulation, with a view to ensuring agreement by the end of 2018. These revisions included introducing the EDIS in a more gradual manner, starting with a more limited reinsurance phase and moving gradually to co-insurance. the establishment of ‘resolution colleges’ for each CCP containing all the relevant authorities, including the ESMA and the EBA. The draft regulation has been submitted to the Parliament and the Council for their approval and adoption. a way forward to foster transparency on NPLs in Europe by improving the availability and comparability of data as regards NPLs, and potentially supporting the development by market participants of NPL information platforms or credit registers. In addition to this package, the Commission presented a proposal in November 2016 for a directive on restructuring, ‘second chance’ and efficiency of insolvency. The key features of this proposal – in particular the availability of restructuring procedures enabling viable companies in financial difficulties to avoid insolvency, and measures to enhance the effectiveness of restructuring and insolvency proceedings – would contribute to reducing NPLs and preventing their accumulation in the future. In its January 2018 progress report, the Commission called on the European Parliament and the Council to progress swiftly on this proposal. In response to the de Larosière Report, the Commission announced in May 2009 a new financial services supervisory framework for the European Union. In November 2010, the Council and the Parliament adopted legislation creating, from 1 January 2011, two structures around which new European financial supervisory arrangements were established: the ESRB, which is concerned with macroprudential supervision, and the ESFS, which is focused on microprudential supervision. This change in European regulatory architecture was made in the context of widespread dissatisfaction among politicians and regulators with the way in which the previous EU regulatory system, with its network of national regulators and the division of responsibilities for cross-border institutions between ‘home’ and ‘host’ authorities, failed to cope during the financial crisis. Targeted powers, including powers to overrule national regulators and, in limited cases, to intervene directly in the supervision of individual firms, have been allocated to the new EU authorities. In the case of macroprudential supervision, the changes were not so much a matter of making the previous arrangements work better as addressing the significant gap in those arrangements that arose from the fact that systemic supervision at an EU level was not within the remit of national regulators. Three ESAs were established, which are independent EU bodies with full legal personality: the EBA, the ESMA and the EIOPA. The former committees (CEBS, CESR and CEIOPS) were replaced, and effectively merged into the ESAs. The ESA of most importance to the banking sector is the EBA. The regulations that created the ESAs28 are supported by the Omnibus I Directive,29 which amended financial services legislation (other than Solvency II).30 Together, these pieces of legislation give the ESAs significant powers, including the power to make decisions that bind national regulators and, in certain circumstances (particularly in an emergency), even circumvent national regulators in the supervision of significant financial institutions. The ESMA also has direct responsibility for the regulation of credit rating agencies. the EBA may temporarily prohibit or restrict certain financial activities that threaten the orderly functioning and integrity of financial markets or the stability of the whole, or part, of the financial system in cases specified, and under the conditions laid down, in EU legislation or, if so required, in emergency situations as provided for in the regulations. The last two powers are subject to the important proviso that no decision adopted in their exercise should ‘impinge in any way on the fiscal responsibilities of Member States’. the areas selected should be ones where detailed technical rules promote financial stability, consumer protection, and market efficiency and integrity. The ESAs do not themselves have the power to set binding technical standards; the Commission must enact the standards, usually in the form of a decision or a directly applicable EU regulation, for them to be binding. It is open to the Commission not to endorse technical standards submitted by an ESA, or to endorse them only in part. In addition, both the Council and the Parliament have the right to object to technical standards, in which case those standards will not enter into force or will only enter into force with amendments. Before proposing technical standards to the Commission, an EBA is generally required to hold a public consultation and to obtain the opinion of the Banking Stakeholder Group. This is a group of 30 members, representing credit and investment institutions operating in the European Union, their employees’ representatives, as well as consumers, users of banking services, top-ranking academics, and representatives of small and medium-sized enterprises. This is clearly aimed at a national regulator’s failures in the prudential supervision of a financial institution. the national regulator then has 10 working days to inform the Commission and the relevant ESA of the steps it has taken or intends to take to comply with that opinion. As is the case with the development of new technical standards, the Commission has the final say. The Commission must issue its opinion no later than three months after the adoption of an ESA’s recommendation, with an option for the Commission to extend this period by one month. The Commission’s power to issue an opinion may be exercised on its own initiative or at the request of an ESA. There are circumstances in which an ESA may take its own action without the involvement of the Commission. If the relevant requirement of EU legislation that is the subject of a Commission formal opinion is ‘directly applicable’ to financial institutions (i.e., it is contained in an EU regulation), then the ESA may adopt an individual decision addressed to a particular financial institution requiring it to take the necessary action to comply with EU law, but only where the national regulator has not complied with the formal opinion within the time specified. This power is exercisable where, in the ESA’s opinion, it is necessary to remedy non-compliance in a timely manner to maintain or restore neutral conditions of competition in the market or to ensure the orderly functioning and integrity of the financial system. The ESAs’ powers here are triggered by the Council adopting a decision determining the existence of an ‘emergency situation’. The Council is required to consult the Commission and the ESRB and, where appropriate, the ESAs. An ‘emergency situation’ is defined as one where there are ‘adverse developments which may seriously jeopardise the orderly functioning and integrity of financial markets or the stability of the whole or part of the financial system in the Union’. Where the Council has adopted such a decision, the ESA may, where coordinated action is necessary, adopt individual decisions requiring competent authorities to take action in accordance with EU law that are needed to address adverse developments in the markets or the stability of the wider financial system by ensuring that financial institutions and competent authorities satisfy the requirements laid down in that legislation. The ESA can enforce a decision if the competent authority does not comply where urgent action is required. In these circumstances, an ESA may temporarily prohibit or restrict certain financial activities if those financial activities threaten the orderly functioning and integrity of financial markets, or the financial stability of the whole or part of the financial system in the European Union. An ESA must review these decisions at least every three months, and the decision automatically expires after three months if it is not renewed. The ESA must also reconsider its decision if requested to do so by a Member State. Where the ESA considers that a permanent restriction or prohibition on a particular financial activity is required, it can inform the Commission, which will consider facilitating the action. An ESA is not permitted to take such actions where it would impinge in any way on the fiscal responsibilities of Member States (e.g., by requiring the financial rescue of an institution). These powers arise where a national regulator is in disagreement with another regulator concerning the application of EU legislation. Following a request by one or more of the national regulators concerned, an ESA may attempt to assist the national regulators to reach an agreement. In addition, where disagreement between the national regulators can be determined on the basis of objective criteria the ESA may, on its own initiative, assist national regulators to reach agreement. where a national regulator fails to comply with an ESA’s decision and thereby fails to ensure that a financial institution complies with directly applicable requirements of EU law, the ESA may make a further decision addressed to the financial institution concerned requiring it to take any necessary action to comply. These powers are also subject to the safeguard that no decision may impinge on the fiscal responsibilities of any Member State. The establishment of the ESRB addressed an obvious gap exposed by the financial crisis that, at an EU level, responsibility for macroprudential analysis was fragmented, and conducted by various authorities at different levels with no mechanism to ensure that macroprudential risks were adequately identified, and that warnings and recommendations were issued clearly, followed up and translated into action. Unlike the ESAs, the ESRB is a pan-sectoral body, covering not just the banking or investment services sector but also the insurance sector. The responsibility of the ESRB is to provide macroprudential oversight of the financial system within the European Union to prevent or mitigate systemic risks within the financial system. The ESRB’s main functions are the collection and exchange of information, the identification and prioritisation of systemic risks, and the issuance of warnings and recommendations. The information function is directed primarily at the provision by the ESRB of information on systemic risks to the relevant ESAs. In return, the ESAs, with the national central banks and Member States themselves, are required to cooperate with the ESRB and provide it with information necessary for the fulfilment of its systemic monitoring objective. Where deemed systemically relevant, the ESRB may address a ‘reasoned request’ to an ESA to provide data about particular institutions. If the ESRB identifies significant systemic risks, it must issue a warning and, if appropriate, issue recommendations. Warnings or recommendations may be either general or specific, and may be addressed to the Union as a whole, one or more Member States, one or more of the ESAs, one or more national regulators, or (in respect of relevant EU legislation) the Commission. Different levels of risk are differentiated by a colour-coded system to enable correct prioritisation. A Member State, an ESA or a national regulator in receipt of a recommendation from the ESRB must respond by setting out either the actions undertaken to implement the recommendation or the reasons for not following the recommendation. The only tool available to the ESRB to deal with a refusal by the recipient of a recommendation to act on it is to inform the Council or, where relevant, the ESA or ESAs concerned. Those bodies may then take action. It will be at the discretion of the ESRB whether to make a warning or recommendation public. If it decides to do so, it must inform the Council and the addressee in advance. the promotion of sustainable finance and fintech by ESAs. The Commission has invited the Parliament and the Council to discuss and agree these proposals as a matter of priority, to ensure their entry into force before the end of the current legislative term in 2019. 1 Jan Putnis is a partner and Timothy Fosh and Emily Bradley are associates at Slaughter and May. 2 Report following The High Level Group on Financial Supervision in the EU, chaired by Jacques de Larosière, Brussels, 25 February 2009. 3 Directive 2013/36/EU of the European Parliament and of the Council of 26 June 2013 on access to the activity of credit institutions and the prudential supervision of credit institutions and investment firms, amending Directive 2002/87/EC and repealing Directives 2006/48/EC and 2006/49/EC. 4 Regulation (EU) No. 575/2013 of the European Parliament and of the Council of 26 June 2013 on prudential requirements for credit institutions and investment firms and amending Regulation (EU) No. 648/2012. 5 The legislation provides that a lead regulator, agreed or determined from among the national regulators of members of the group in the EEA, carries out certain coordinating activities. In addition, the scope of consolidated supervision may, in principle, extend worldwide in certain circumstances, but in practice it is usually confined to an EEA-incorporated parent undertaking and its subsidiary undertakings and participations. 6 A ‘participation’ includes, broadly, a direct or indirect holding of 20 per cent or more of the voting rights or share capital in another undertaking. Participations are consolidated on a proportionate basis. 12 Directive 2014/65/EU, see Section VII. 15 Directive 2002/87/EC (as amended). 16 Not all national regulators have exercised this discretion. 17 Directive 2004/39/EC (as amended). This directive was supplemented by implementing measures in the form of an EU regulation (1287/2006/EC) and a further directive (2006/73/EC). 26 Regulation (EU) No. 596/2014. 28 The EBA was created by Regulation No. 1093/2010, the ESMA by Regulation No. 1095/2010 and the EIOPA by Regulation No. 1094/2010. 30 Solvency II has been amended by the Omnibus II Directive, which came into force on 23 May 2014. The Solvency II regime came into force on 1 January 2016. 31 Regulation No. 1093/2010, Regulation No. 1094/2010 and Regulation No. 1095/2010.